I work at a hospice. I have watched a countless number of patients come to the hospice and die after a short while. I have seen people breathe their last. 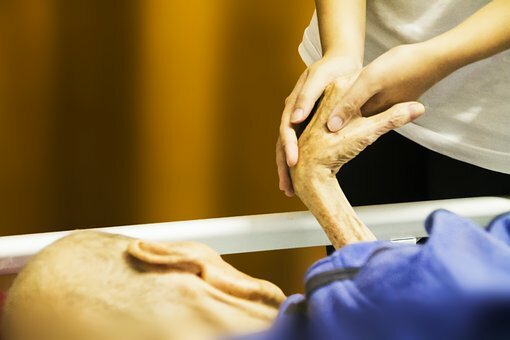 And after taking care of terminally ill cancer patients, I have learnt that there are four things that I or the patient’s family members should never say to a dying person. People who are dying know it. Giving them false hope is the last thing they want to hear from you. So rather than tell them that all will be well, you would rather shut up and let them start the conversation and just join it when you have identified the direction the conversation is taking. When you say such words, they will start blaming God for making them sick. You would rather keep mum if you have no other constructive statement to make. It will throw them into deep introspection as they wonder how unjust God is for taking them while you are still healthy and taunting them. “Why me?” they will question. When you tell them that their sickness and inevitable death happens for a reason, they will feel as though you are blaming them for their sickness and start wondering what they ought to have done to run away from the sickness. Saying such words will make them hate you and they might actually avoid any further communications with you. Though they might look very emaciated, telling them that they look so will actually hasten their death. They also have their dignity and just like any other person, they do not want to have any ugly adjectives defining them. Rather than say the above four statements, it would be better to give the terminally sick your time and resources. If they want the better hospital beds, better pillows, bed sheets or mattresses try as much as possible to get them. If they want sweet foods, cook them some because that might just be the last time they are enjoying such meals. If they are suffering from Parkinson’s disease then get them spoon for tremors to curb the shaking. When you do such kind gestures, they will feel that you walked with them all the way till their final demise. Family members of the dying should try as much as possible to be there when the person is breathing their last. Touch them because the touch has a powerful message of telling them that you are still there and love them. The Independent has actually published a story of how women in pain were found to have become calmer when they touched their husbands. When the person tells you that they feel like they are on their way to the next world, ask them of their wishes that they would like done after their death. When people are dying, they want you to speak nicely to them. Thank them for every the least of things they did for you so that they can die feeling like conquerors. Also ask them to forgive you and be ready to forgive them for any wrongs.